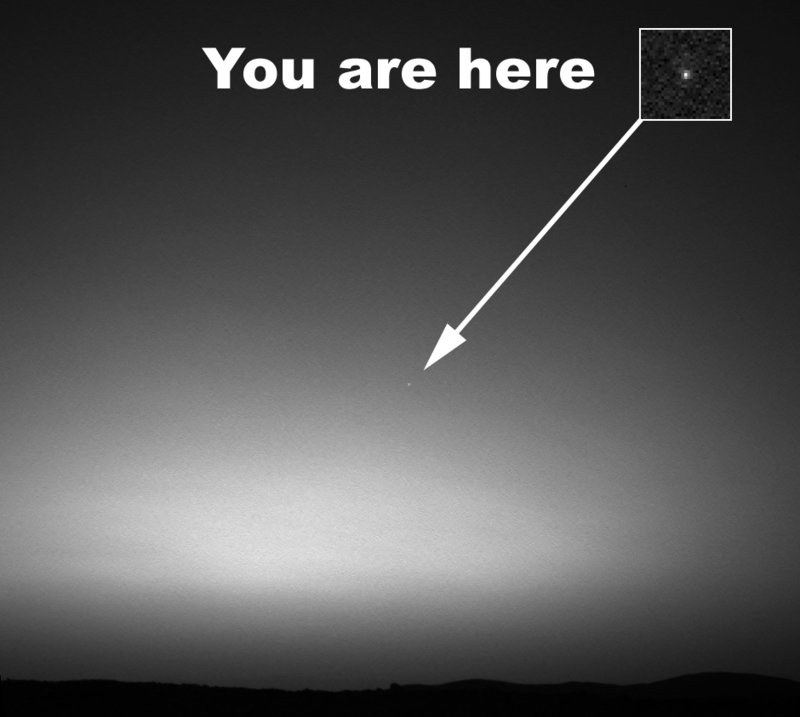 The image is a mosaic of images taken by the rover’s navigation camera showing a broad view of the sky, and an image taken by the rover’s panoramic camera of Earth. The contrast in the panoramic camera image was increased two times to make Earth easier to see.The inset shows a combination of four panoramic camera images zoomed in on Earth. The arrow points to Earth. Earth was too faint to be detected in images taken with the panoramic camera’s color filters. Even from our nearest neighbor our entire world is reduced to a bright point of light in the evening sky…just another light in the dark.